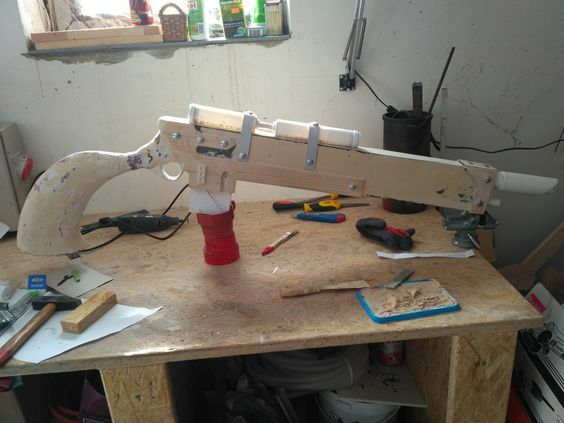 Rifle is made from cardboard filled with expanding foam and layered with fiberglass. Me for scale. 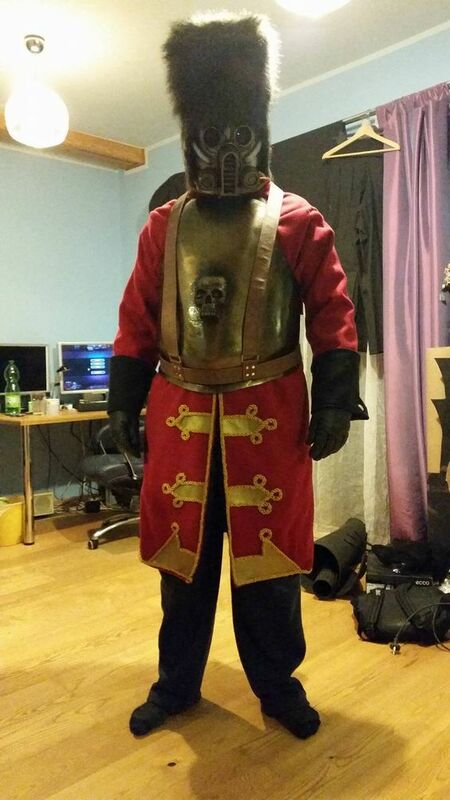 Don't worry, the costume will have a mask. This face will not, I repeat, WILL NOT be exposed in public. 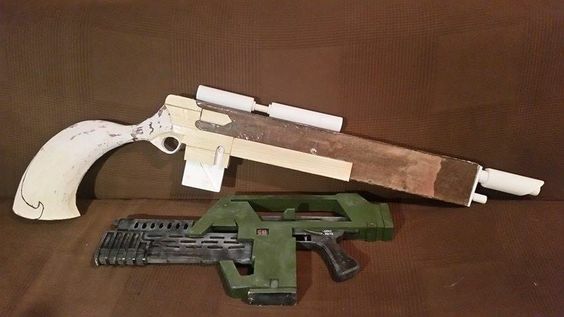 With my Armat Pulse Rifle (1:1, trust me, I took measuerments) for scale. 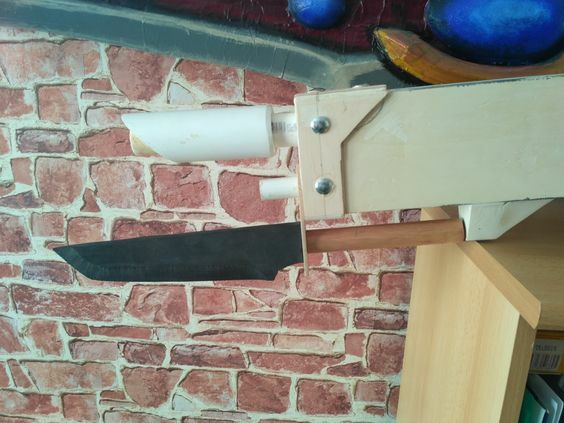 I had to redo the stock, so here is how I made it. 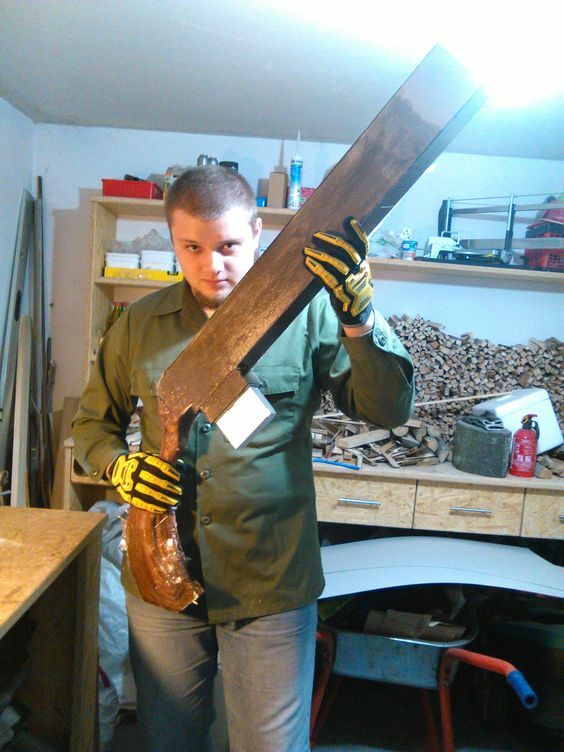 It was attached to the rest of the rifle with some wire, fiberglass and bondo. 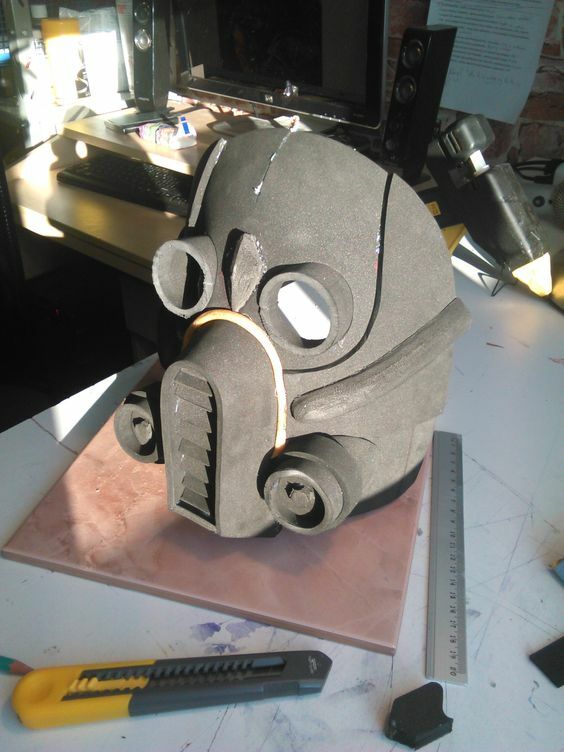 A prototype mask, to be precise. It will be probably cast in resin or welded from 1mm steel. 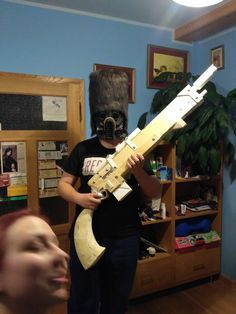 I intend to finish the rifle before the end of the month (painting included) and start making the armour, so... witness me! C&C welcome. Tell me what you think! I really like the way the mask looks. As promised I finished the rifle... well, almost. All is left to do is the trigger itself, small wooden plate under the clip and abut an hour of sanding. 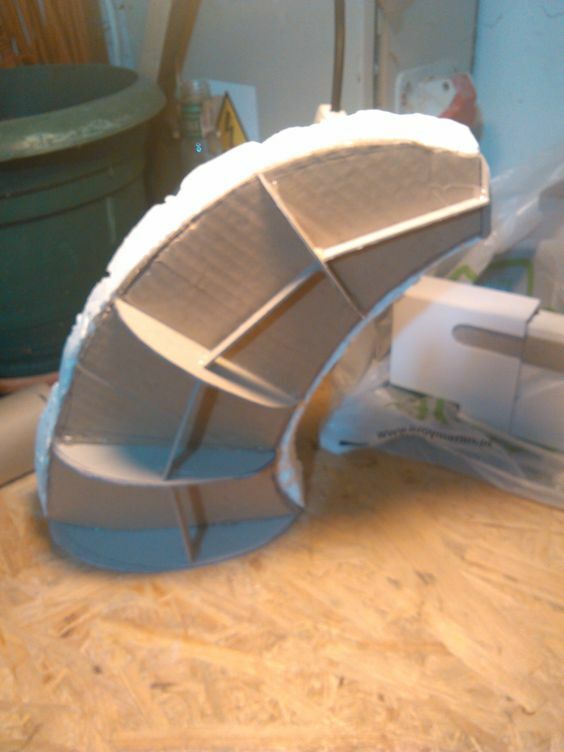 But otherwise it's ready for paintjob! 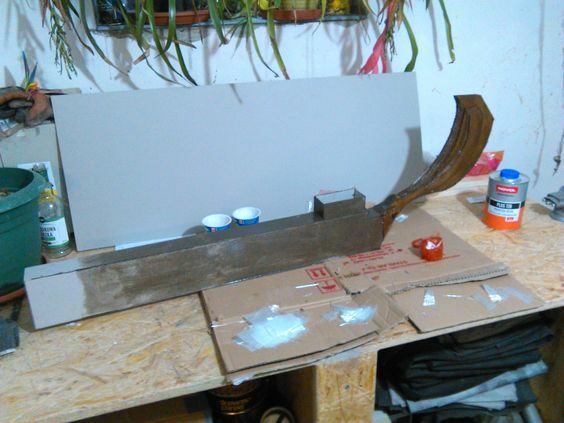 I added some details, reinforced the stock (it broke in the middle of sanding process), added more details, sanded it. 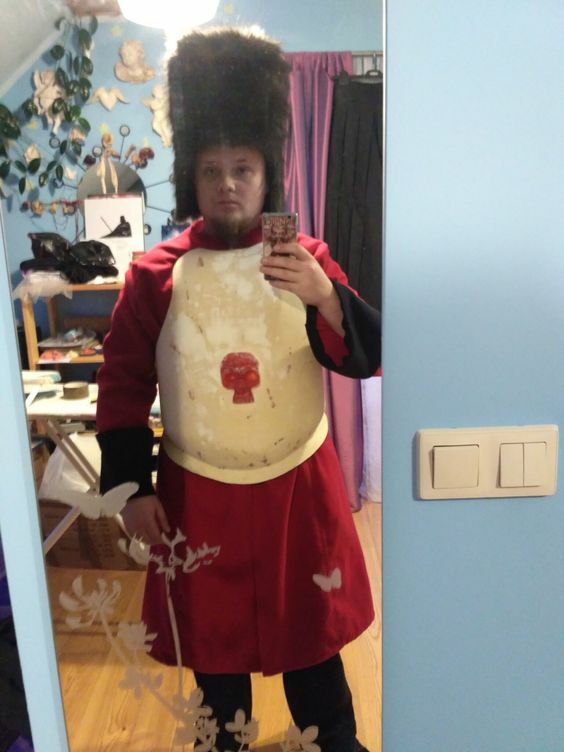 Since I'm a terrible painter (despite about 3 years of painting Warhammer miniatures and being kinda "OK" painter) all elements of my costume will be painted by my talented friend. Update time. 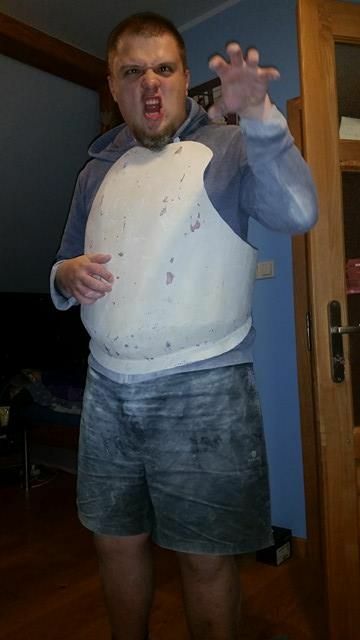 I managed to create armor out of fiberglass and cardboard. Also, a friend of mine helped me with the fur cap. Mask requiers paint and the headgear will be finished. Next: leg armor and armored skirt. 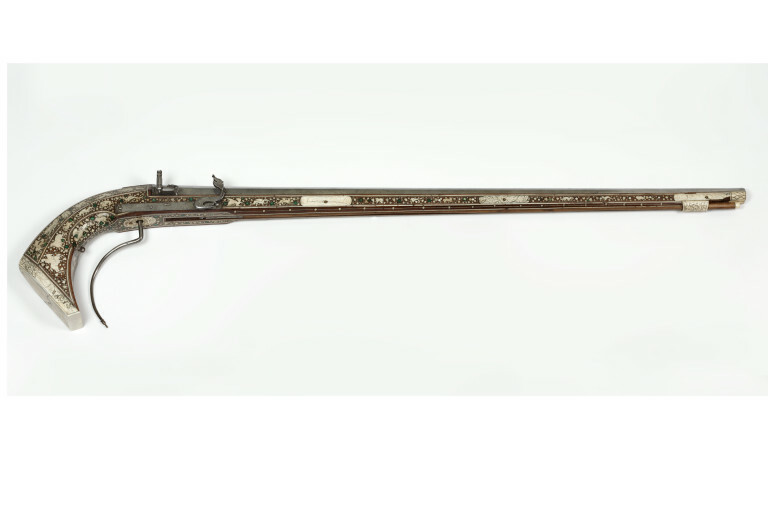 Meanwhile I finished another detail: detachable bayonet. I used magnets to hold it in place. It can be removed and attached easily and the magnets support it's weight, so I don't have to worry about it falling off in least expected moment. Any agressive, fast moves are off limit though. Magnets are not that strong. 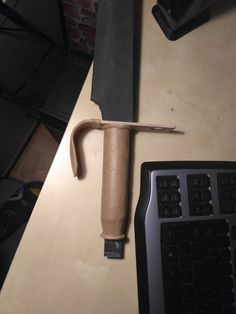 Blade is temporary, I needed it only to check the lenght and look of the bayonet. Aaand that's all so far, I', still working on the armour. Hope I'll show fnished (-paintjob) piece before december. Nice work. The mask looks awesome (and reminds me of Steve from Borderlands - Heyo). The rifle is coming along nicely too. The shape of the stock really confuses me. Is that how they are in the source material? Also, I managed to finish my generic chestplate. It's reshaped and sanded, ready for detailing, painting and so on. 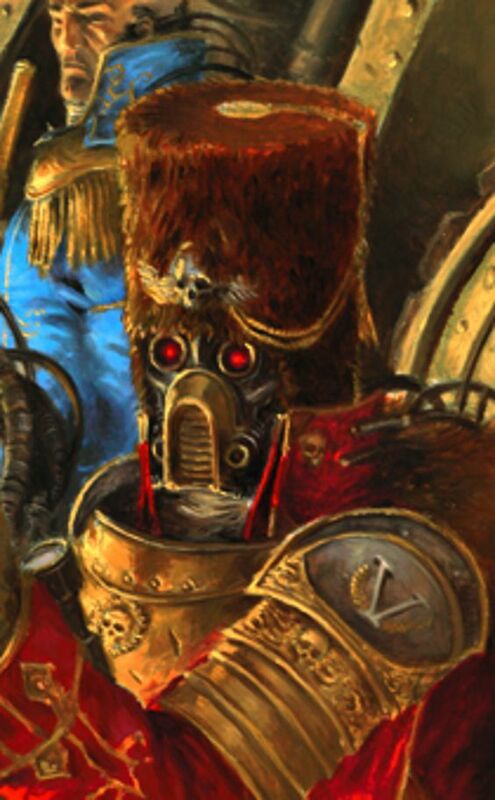 Problem with scaling from miniatures is that you run in the ludicrous proportions like pistol grips that can not be gripped, pistols that are too bulky for their holsters etc, rifles that are totally unwieldy etc. Heeey guuuyyys, did you miss me? 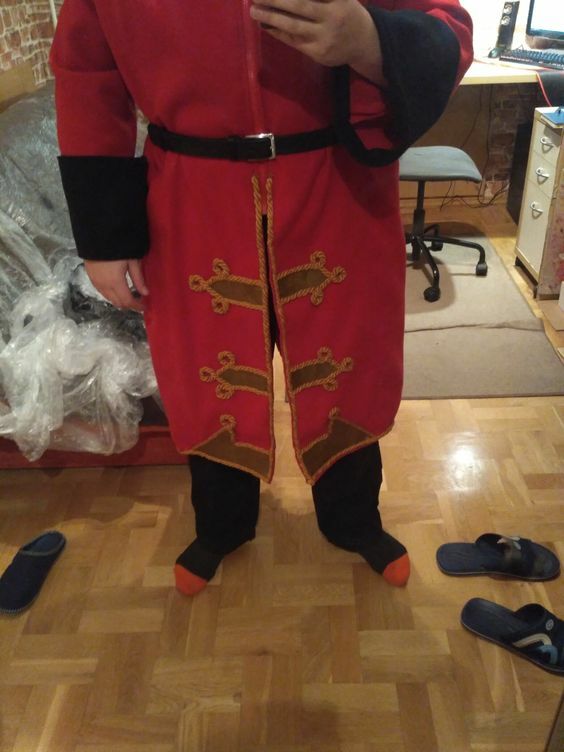 The costume is coming up together really nice, I think that it will be 100% complete by the end of 01.2017. Now that base of the coat is complete I will add ornaments. Next steps: making shoulder pads, painting armour, sewing leather pouches. From my perspective it's almost done since all the big parts are here, but I know deep down that it's still way to go. Added some gold to the coat. All that is missing here are a few buttons and little details. 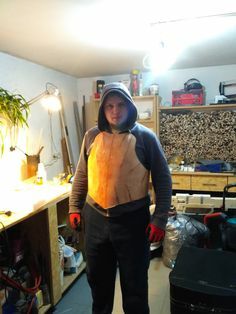 Moving to leather stuff and painting armor. Keep up the good work, man. This is frickin' insane. Especially the hat and mask. 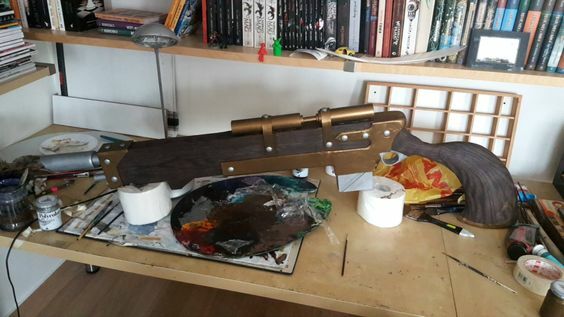 This costume ain't finished yet, so here's next piece: the rifle, 90% completed!